Some time ago some Special Person gifted me three books from the series "if you give...". My daughter loved them. 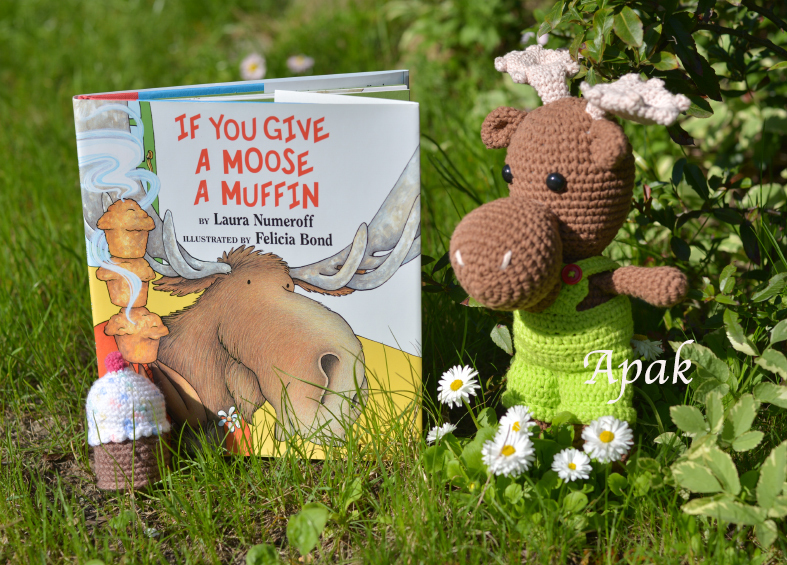 I had a mouse crocheted for another book and I used to present the story to my pre-school kids (I teach them English). They enjoyed it a lot and couldn't wait to see the moose book. I was very busy and didn't have time to make the moose, so I took a moose toy from my daugter's shelf. 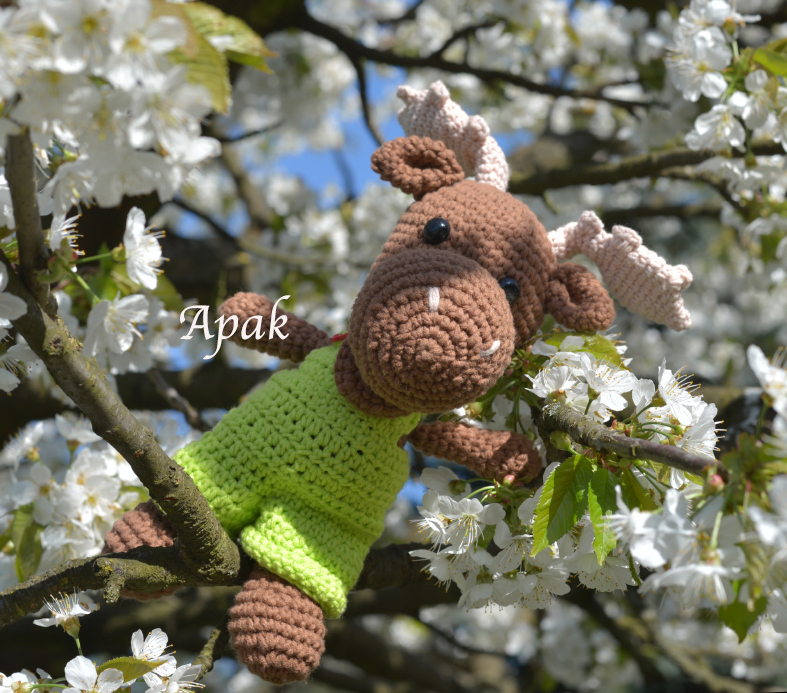 I was surprised because the kids were DISAPPOINTED and told me: Why don't you have the crocheted moose? Why didn't you make one??? Thanks for the laugh. 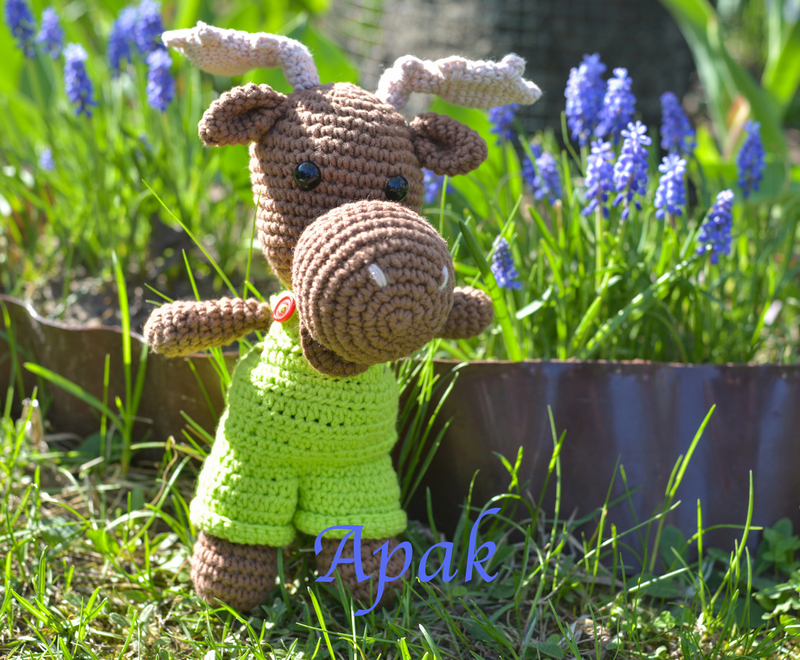 It is so cool that the kids wanted a crocheted moose. He is just adorable. You did a great job on him. Just adorable. The moose is so cute. I think you are an amazing person. Teachers are so special. Besides teaching your students the "school" stuff you have also taught them an appreciation for hand crafted items. Cute moose! Love hearing about the kids, too. Very cute moose. You make learning interesting and fun for the children. What a cutie and you've taught them to value hand made stuff. That is so sweet! You did a great job! So nice that there are so many wonderful free patterns out there. Oh my! That's just the most darling little moose & cupcake. :() I love that there are so many wonderful teachers in this world.